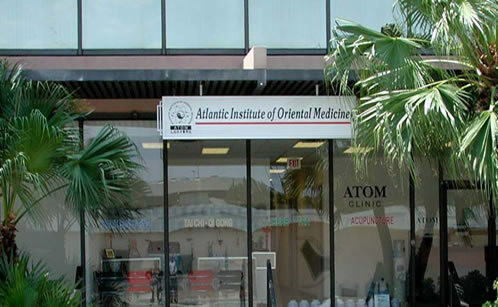 ATOM maintains one of the larger Oriental medicine libraries in Florida with more than 3,000 items, including comprehensive holdings in acupuncture, Chinese herbal medicine, Oriental medicine theory, and western biomedical sciences. Holdings include print volumes, journals, several forms of audiovisual resources (DVDs, CDs, etc.). The library also includes a substantial collection of original Chinese language medical research journals and DVDs. The ATOM library seeks to be a top tier library at a school of Oriental Medicine in the United States and to provide accessible, relevant learning and study opportunities to members of the ATOM community, including students and faculty. The library is closed on Sundays, on major holidays and on days when school is not in session. The ATOM library is focused primarily on the field of acupuncture and Oriental medicine and biomedicine. Students, faculty and staff are provided access to and use of the library collections and learning/information resources, including reference and circulation services. ATOM library resources focus on Oriental and Western medicine, including more than 4,000 Oriental Medical books, journals, videos, CDs and DVDs as well as a collection of original Chinese language medical research books, journals and DVDs. The ATOM Library reading room has four computer workstations available to students with high speed internet access and print capability. Students may print from computer workstations for 10¢ per copy. One coin operated copy machine is available for student use in the library reading room. Cost for copies is 10¢ per copy. Library staff cannot accept cash use of the copier. Students are welcome to use the Library and adjacent Library Reading Room as a quiet place to study. Tables and chairs are provided within the library for patron use. The ATOM Library is a “reading library” in which ATOM students and faculty are welcome to sit in the library and access the library collection free of charge. The Library is not accessible to members of the public. Patrons wishing to check out holdings from the library collection must check out the item(s) with library staff on duty. Library holdings that are not included in the reference section may be checked out twice unless an item has been placed on hold or unless the book is overdue. Overdue materials are not renewable unless the overdue fee is paid. Books, DVDs, CDs, audio tapes, and video tapes. Reference materials and journals are not available for checkout, but can be accessed within the library or library reading room. Books, DVDs, CDs, audio tapes, and video tapes may be checked out for 14 days. Circulation items may be renewed twice unless the items have been placed on hold or are overdue. Renewal must be made in person. Library materials must be returned directly to the library during normal business hours. Overdue fines for each circulation item is 10¢ per day. Overdue materials cannot be renewed unless the overdue fines are paid. ATOM students will not be allowed to register for the following term until all outstanding fines are paid. Additionally, all library debts must be paid before a student is allowed to graduate. To avoid overdue fines, return books promptly or renew them before the due date. Renewals of checked out items must be made in person.